Three cantilevered, metal-clad structures crown a layered glass and brick facade. Designed by Neutelings Riedijk Architects, this striking building, crowned with three cantilevered structures, unites the city library, regional archives, an arts school and an exhibition space in one setting. The Eemhuis, designed by Neutelings Riedijk Architects of Rotterdam, never quite sits still. There is a movement of people, a play of lines and an interweaving of functions. This lively energy, combined with a strong urban presence, befits the building’s role as the new cultural heart of Amersfoort. 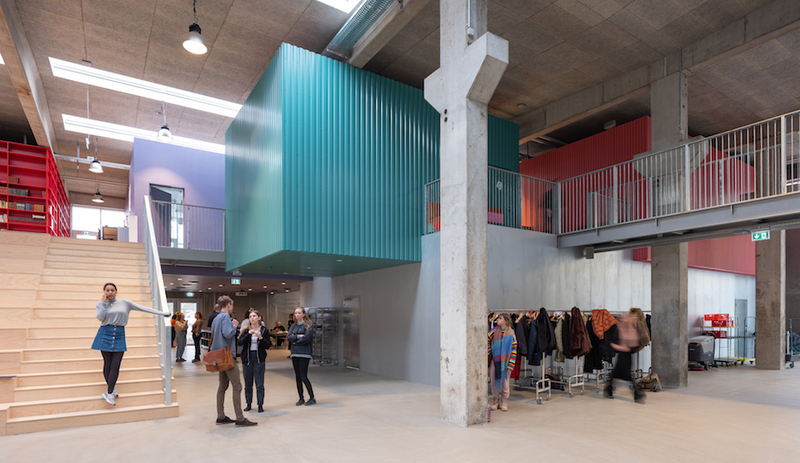 The innovative project unites four local institutions – the city library, the regional archives, an arts school and exhibition space – as part of a re­develop­ment scheme to boost local cultural life, and revitalize this former industrial district an hour’s drive from Amsterdam. 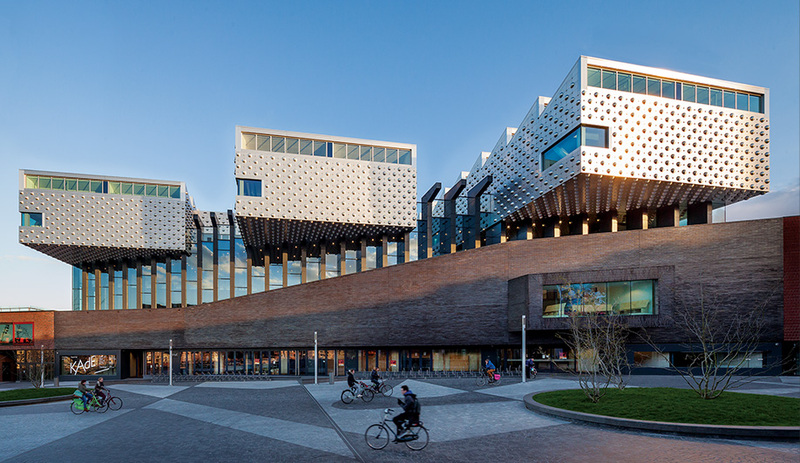 Looking back at the four-storey structure from the new Eemplein urban square, it literally pops out: the tripartite facade of brick and glass crowned with reflective, futuristic structures would be hard to miss. 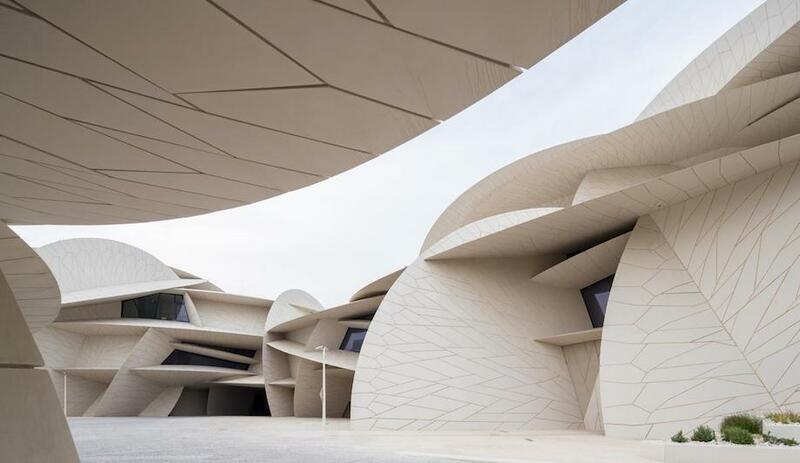 The layered exterior reveals the 16,000-square-metre centre’s stacked program, organized organically by purpose. 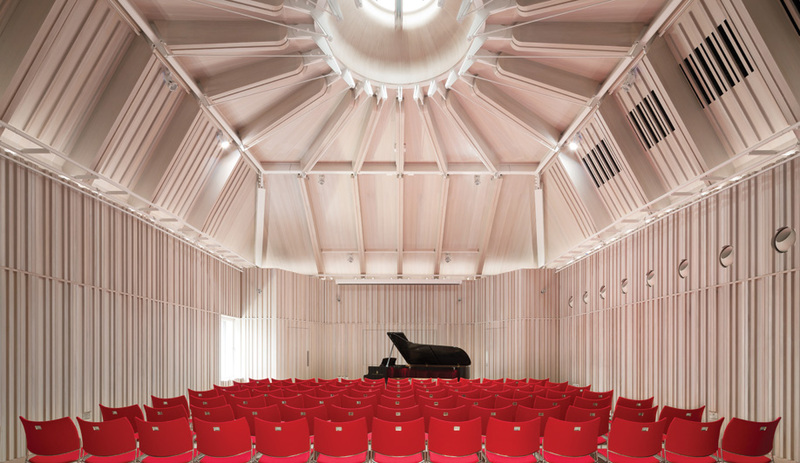 The library resides on the open lower floors, while the arts school is perched on top, with each department – theatre and dance, visual arts and music – housed in one of the cantilevered metal structures. Anchoring the new community hub are the archives at the building’s core. While each institution has its own space, the fun happens where they intersect; the interchange between visitors and resources is palpable. “Instead of viewing the institutes individually, we looked at their activities to find the similarities,” explains Eric Thijssen, project leader at Neutelings Riedijk. This overlap is most impressive in the entrance hall, where a grand reading room invites visitors to step up to the library and the archive above. Multiple routes allow them to navigate at their own tempo. Wandering through the Eemhuis uncovers a wealth of surprises, with hidden nooks, balconies and dramatic views as the reward. Rich, textural materials take on visual, functional and symbolic roles here. 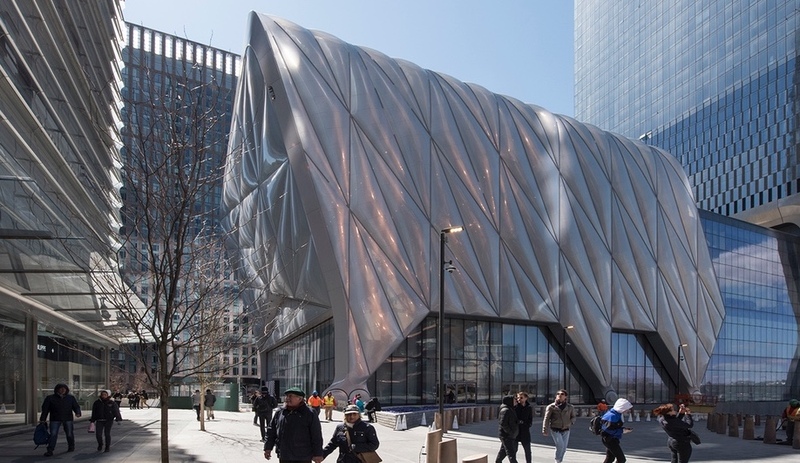 The striking studded metal skin evolved from the desire to express and differentiate the public function of the building from the surrounding residential and commercial structures. Glazed black bricks on the exterior echo the site’s industrial heritage and establish urban coherence, while great swaths of warm oak, a traditional Dutch material, unify the interior.